The UM excavations conducted by Dr. G. F. Dales in 1964-65 exposed a massive mud brick platform on top of which were built numerous brick buildings separated by narrow lanes. 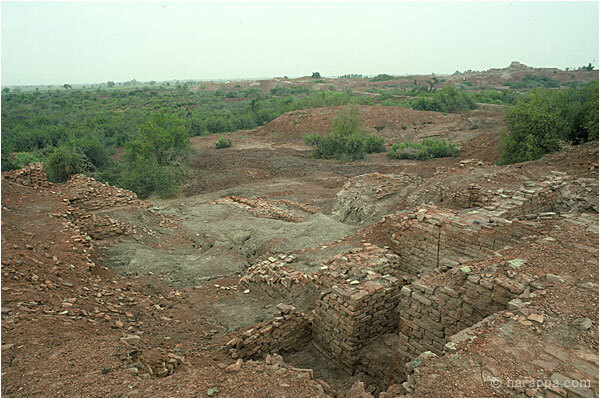 The pottery excavated from this area was used to develop the most comprehensive analysis of Mohenjo-daro pottery published in 1986 by the University Museum Press. The citadel mound and Buddhist stupa are visible in the background.